The U.S. Border Patrol is testing the abilities of helium-filled balloons that were originally used by the Department of Defense for surveillance, the Associated Press reports. Don’t be confused by the seemingly simple technology of balloons. 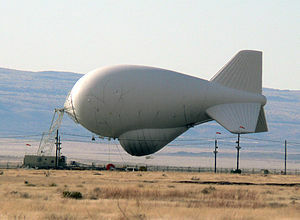 Aerostats, as they’re called, can identify the make, model and color of a car a few miles away while being tethered about 2,500 feet above the ground, the AP wrote. Border Patrol is testing the devices in hopes of using them to combat human and drug trafficking. Posted: 12/19/13 at 11:26 AM under News Story.